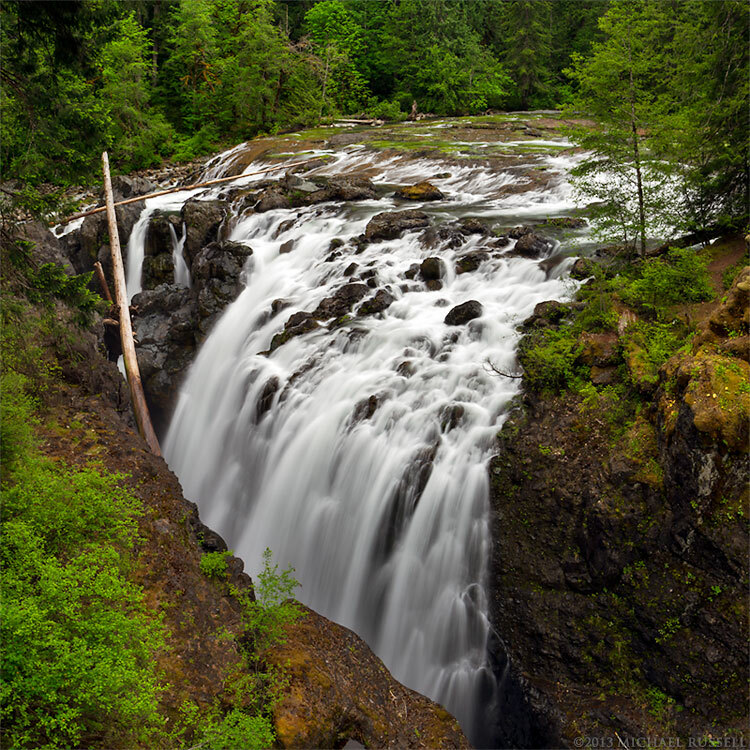 Last spring I again visited Englishman River Falls Provincial Park on British Columbia’s Vancouver Island. 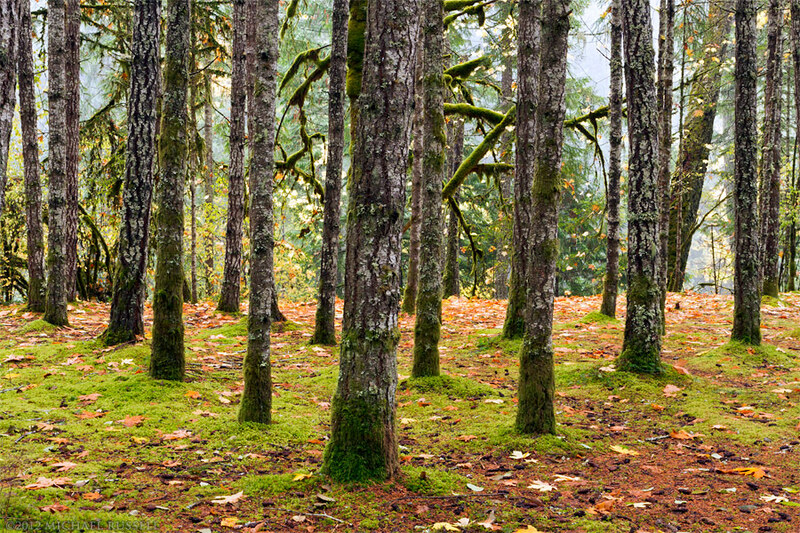 Previously I had been to the Englishman River during a nice display of fall colours. Each season brings different opportunities, so I enjoyed the greener surroundings at the falls last spring. I really enjoy the main falls despite how challenging they can be to photograph, but the first time I visited on the last trip I just took them in and didn’t make any photos. I wasn’t seeing quite what I wanted, and just enjoyed the place instead. 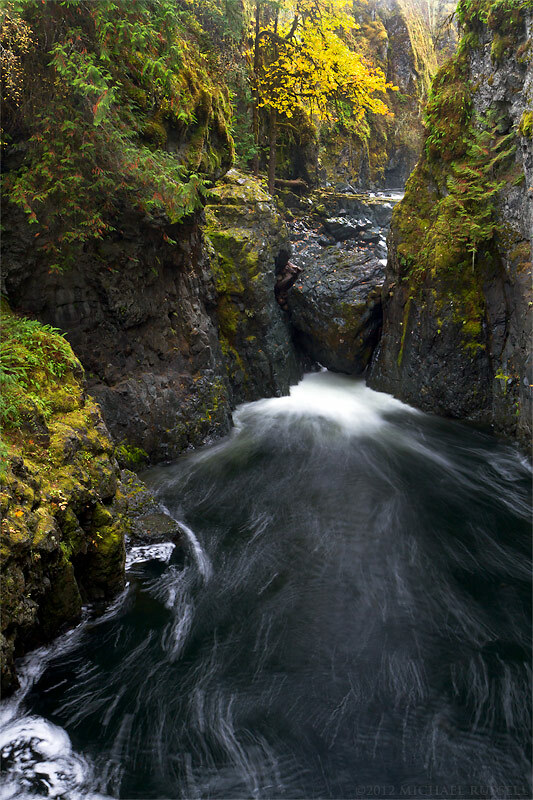 On my second trip I photographed these smaller cascades on the Englishman River near the main falls. 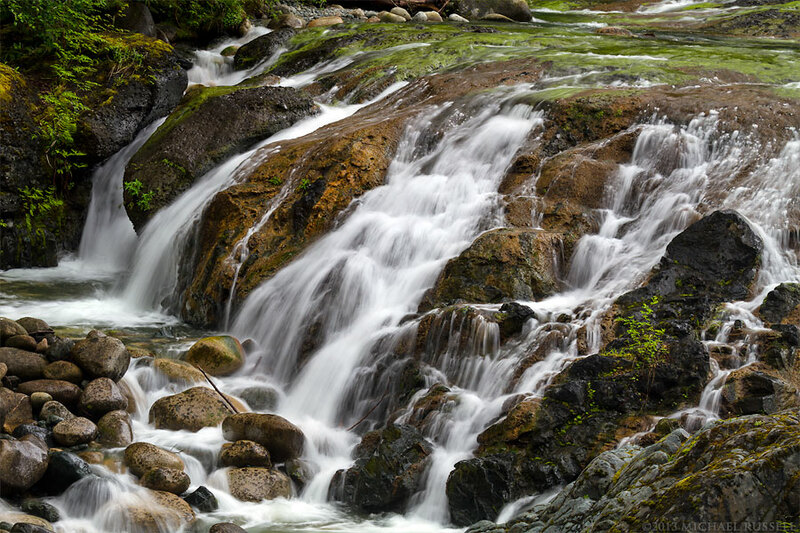 Not as spectacular as the main falls, but I found these to be rather interesting too. 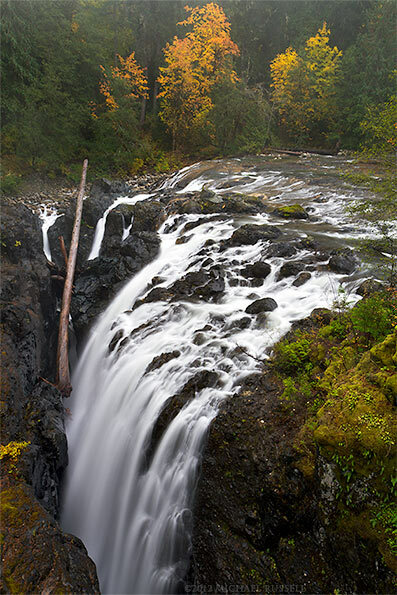 Visit my image library for more photos of Englishman River Falls Provincial Park.